Picture this: your home is broken into just days before you’re set to leave on an exclusive, all-expenses-paid cruise. You decide to go through with your trip anyway, but what should be a pampering and relaxing few days at sea turns into a nightmare when you witness a murder on board. To make matters worse: no one believes you. From Ruth Ware, author of The Lying Game and In a Dark, Dark Wood, comes The Woman in Cabin 10, a psychological thriller published in 2016, that tells the tale of journalist Lo Blacklock searching for answers to the mysterious disappearance of one of the cruise’s passengers. This book runs wild with red herrings, plot twists, and conspiracies, so we thought it best to organize our thoughts about this book into a roundtable questionnaire. 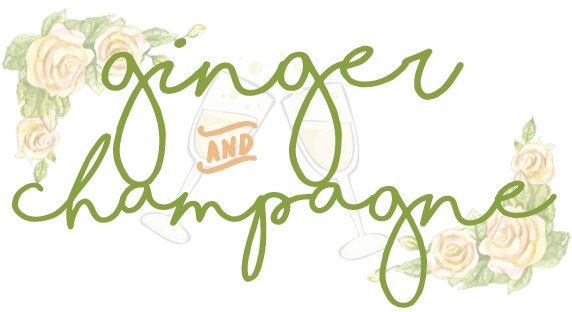 Check out Ginger and Champagne’s thoughts on the book below! The book opens with someone breaking into Lo Blacklock’s apartment. She goes on assignment just a few short days later on a luxury cruise liner where she believes someone’s been murdered in the room next to her’s. Is this meant to make us believe early on that Lo is just dealing with the trauma of the break in and is an unreliable narrator? Rebecca: The recent trauma definitely contributes to our skepticism of Lo. After all, who wouldn’t be shaken up and therefore intensely paranoid after something as traumatizing and violating as having your home broken into? Ruth Ware throws us into the novel immediately suspicious of everyone on board the ship—including Lo. Megan: It’s clear very early on that she’s nervous about everything. Of course, it’s rightly so. But I agree, I think that this choice was a really smart one. It made the readers extremely suspicious of everyone. Anyone could be capable of anything. Even Lo. With no sleep, lots of alcohol and paranoia? What if it’s her and she’s not aware of it? As Lo runs through the event with security, he doesn’t seem convinced. As she’s going through the staff with him the next morning, she continues to doubt herself. The security guard then points out her antidepressants, how she’d been drinking and “how the two don’t mix well.” What does this say about how we treat mental health in terms of recall? Rebecca: There is definitely a stigma regarding mental health. Just because someone takes medication does not automatically make them liars, whether intentionally or not. Lo is constantly asked about her prescriptions and no one takes her seriously when they find out she’s been prescribed medication for anxiety. This contributes to the belief that everyone living with mental illness is “crazy” or creating their own (false) reality inside their own heads. Megan: I agree! It’s frustrating as a reader to see the seed of doubt be planted among those on the ship when they discover she’s on antidepressants. It immediately makes them take her less seriously. Which is annoying because a chemical imbalance or mental issue does not equate to a web of lies and complete delusions. Furthering that idea, once others have learned that she’d just experienced a break in, they start to not believe her and see her as hysterical. Woman have a history of being seen as overdramatic and their claims are discredited. If a man had reported it, they would have taken him more seriously. Do we think that narrative is meant to make readers question Lo? With others doubting her and her even beginning to question it, she shares what’s going on with Ben Howard, another press passenger and also an ex-boyfriend. She wonders if it was wise to do so and is quick to jump to conclusions about him. When we deal with trauma, is it easy to be on the defense of everyone, even with the people who know us? Rebecca: Definitely. There’s always that fear (especially as a woman) that your trauma/pain/emotions won’t be taken seriously. That’s sometimes why it takes so long for people to reach out regarding mental health struggles. It’s not surprising that Lo would assume the worst about people and not want to share her story with anyone, including people with whom she has a relationship. Megan: Oh, god. You’re so right. As a woman, it’s hard to be taken seriously. “Are you sure? Did you really see that? Are you just looking for attention?” I think it’s easier for her to be quick to jump to conclusions about Ben because she knew who he was on a personal level. She was with him during that extremely dark time, so he knows what’s going to push her one way or the other. I think that’s what makes her question him and think that he’s only helping to cover things up because he knows her so well. In the second half of the book when it all starts to be revealed, we get to see just how easy it is for those with great power to abuse it. If the real enemy were anyone else and their power didn’t extend so far, would the reveal be as impactful? Would it have been as shocking and page turning? Rebecca: I don’t think it’s necessarily a bad thing to be skeptical of those in power for this exact reason. With influence and money comes freedom, which can be used for good or for evil. In the case of Cabin 10, we see just how corrupt power can make someone. The ending would not have been as impactful if the culprit had justified their actions through desperation, whereas pure greed makes the blow that much harder. Megan: I agree. I think that finding out who’s really behind everything really packed a punch. If it had been anyone else, it would have been like, Okay, that seems silly. But for that person to be behind it is incredible. They’re so powerful that they see themselves above everyone. They believe that they can get away with any crime. Because power makes them seem like they would never have a motive. I was just so blown away by the reveal. All of the mystery and intrigue was amazing, but it felt like a book that was saying, stand up for yourself, stick to your guns and fight for what’s right. Would you agree? Rebecca: Agree. Lo teaches us how it important it is to believe in yourself—even if no one else does. Your gut is almost always right, and you can learn a lot from trusting your instincts. Megan: If Lo hadn’t, the crime would have never been solved. The person would have gone on like nothing had ever happened. They wouldn’t have let it weigh on their mind; the murder, the kidnapping, the need to murder again. Your instincts very rarely let you down. This book proves it! We here at Ginger and Champagne LOVED this book. The twists, the turns, and the suspense kept us hooked from page one, completely on the edges of our seats. We hope you have the chance to check out Cabin 10! Let us know in the comments what your thoughts on the book are! Next Lovey Dovey Entertainment for Valentine’s Day! I need to read more. We have a trip coming up and thats one of my goals. I might try this one thanks for sharing. Maybe don’t read this one if you’re going on a cruise, haha. But any other trip and this would be great! Make sure to scroll back through our site! We have tons of book recommendations! This sounds like a great book. I love murder mysteries. They always keep you on your toes. Will definitely check this out! Oh, then you should DEFINITELY check this one out! You never know what’s going on until you do and you’re blown away! This sounds like a really interesting book! I wish I had more time to read. Even if it’s listening to an audiobook in the car, it counts! I am adding this to my list. I have been reading so much lately. I need to keep the momentum up.